Do routinely look for ways to drive innovation with your demand generation approach? Or do you feel behind the curve? According to research by Circle Research and B2B Marketing, marketers are evenly split. Half say they’re “old school” while the other half believe their approach is innovative. According to the report, almost all of those who do describe themselves as innovative (93%) say that it has made their marketing more effective. However, 83% of laggards have resolved to bring more innovation to their approach this year. That’s why I interviewed Jeanne Hopkins (@jeannehopkins), CMO at Lola.com to get her thinking on how marketers can bring more innovation to demand generation. Jeanne: Thanks, Brian. My undergraduate degree is in Accounting. Believe it or not, the accounting office where I started told me in my annual review that I probably didn’t have a future in accounting because I was too loud for the office. Yes, everything balanced, everything was good, but I was too noisy for a nice, cut and dry accounting office. So, that’s when I moved into toys, and I worked for Milton Bradley Company in their in-house advertising agency. Then I moved to LEGO and then moved into other consulting companies. From there, I got into software which was an internally funded company called Datum E-business Solutions which delivered a trusted time application. A long time ago, way back in the year 2000, it used to be that you’d send an email. Maybe somebody would send it again, but it would be like three hours later or three hours before and that’s because networks were not on the same timing device. So, the whole concept of having timing and having to be secure became something that became critically important to all networks. From there, selling into IT, B2B technology companies, that sort of thing. So that’s my gig. Brian: It’s something you wait until the last minute to do, and if the reports are due on Monday, you’re doing it Sunday night. Jeanne: Of course, taking away from family time. Jeanne: We integrate with Expensify, Concur, a whole bunch of different finance applications as well as travel. You can book all your travel with us. We have a complete support network that helps you get checked in and makes sure that when disruptions come up (reroute people, get people back sooner or back later) and any other hiccups that business travelers endure and we’re trying to mitigate that for them. Brian: Way back, as we spoke, I think, at a MarketingSherpa Conference. Brian: Yeah! I was impressed by you and just how you were bringing innovation and creativity and out of the box thinking. Also, you’ve continued to do that throughout your career. How did you start thinking differently to drive innovation with demand generation? Jeanne: Well, I can’t claim the credit myself, so I’d say that there would be a couple of different influences. I would say both of my parents are artists of a kind. My dad paints, he plays music, he writes. My mom sings, plays music, and paints. So, when I was in high school, I majored in Art. We had to submit a portfolio, and I enjoy thinking from an artistic view of the world. That’s the left-handed component of me. However, then, when I graduated from high school, I went to college for Accounting because I’m ultimately practical, right? I said I could always get a job adding things up. I read constantly. I’m trying to always look for something that’s a little bit different, a little bit ahead of the curve. I don’t want to be an early adopter, but I want to be on the forefront before the competition, catches up with us. So, I’m lucky by having kind of a creative outlook, and I think. My dad was a newspaperman. He was a managing editor of the newspaper in western Massachusetts, in Springfield and I can look at things and look at story ideas. This a story, like just us having a conversation right here, Brian. We know each other. We worked together, you know, you have a family, you know my family, and that’s a story. So, I sent a note to my internal content team, and I said, “Hey, I’m doing this podcast. When it gets published, I think we should do a press release and post it on the blog and backlink to Brian’s blog because that’s where he’s going to be posting it,” but, that’s not creative. Don’t you think that’s where people kind of drop the ball? Brian: I do. I think it’s like bringing the two pieces together and what I’ve respected about you is that you were always willing to try something new, you know? And you would see it through and wouldn’t let it drop. Jeanne: Are you saying I’m a nag?! Brian: Well, I think a little bit. You want things done well and you own it. Being creative is great, but being creative or innovative isn’t going to matter much unless you can get it done. I feel like marketers that go the rebranding route, the new logo route, they’re arts and crafts marketers because while that’s important and a brand is essential, but it’s not as important as generating revenue. Jeanne: But almost a thousand of them were untouched by sales because we don’t have enough sales people so working with an organization to be able to make sure if people are downloading content, you want them to get touched. They may not be ready to buy, but you want to be able to make sure they’re touched. So, I’m trying to come up with a solution to that internally. To go figure out what can I do to help the sales organization be able to achieve the revenue targets that we have as an organization? Jeanne: I think that one of the challenges that many marketers have is that they don’t look at the whole business. Because our job is not just as marketers. And this concept of arts and crafts marketer and saying, “Okay, I’m going to change this logo from orange to pink,” and therefore all these people are going to come to us and say, “Oh, I love your new logo and can I buy from you?” That’s not going to happen. You haven’t given anybody anything of value. I feel and have always felt, that my job is to generate revenue. And that becomes challenging for many marketers. If I looked at what this brand person is doing, you’re going to spend a couple hundred thousand dollars with an agency, you’re going to go through this whole process. My understanding is this individual has been there for eight months, and the sales team hasn’t seen a single lead. I would stick a fork in my eye if that were the case. My job is to generate leads. I want to have an excellent relationship with sales. I want to make sure that the sales leader that I’m working with is somebody that I like, and respect and we’re joined at the hip so that we can, together, grow the business. Brian: I want to call attention to something you’ve said that it’s so important that you go beyond the lead. You’re looking at the whole business and focused on revenue, I think it’s just part of being a good marketer is looking at, execution. How do we take this person we built a relationship with or start a conversation with and carry it through to helping them become a customer? Jeanne: Yes. Also, stay a customer. Jeanne: Because when you think about it, I feel like there’s like four circles if you will. The center ring is employees and if employees don’t have a sense of what’s going on and they’re not being communicated with, like here are the events that are coming up, here are the PR things that are coming up. What’s the full transparency so that the employees know what’s going on with the product, with marketing, with sales, with the team, with everything? The next one is customers and, unfortunately, customer marketing as a concept is not something marketers dig. But they don’t think about them until they’re gone. Then the next level is prospects. Many marketers focus just on prospects. Then, what’s the conversion rate, visit-to-lead, visits-to-CTA, CTA-to-opportunity, the opportunity-to-customer? Oh, that’s all great, but you also have a community, and when I worked at HubSpot as an example, we had a million people that were part of the community. They were not going to become customers, but you know what they did? They amplified content, so we had a new E-book on something, sent it out, the community would leverage it, and that’s what you want. But if you don’t start with employees and customers, the rest of it is all for naught and prospects look at reviews and what other people are buying. You must have a solid core of employees and customers, and that’s the holistic view in my mind. Brian: Well, as I talk with CEO’s, I hear the metrics they care a lot about are looking at customer acquisition costs (CAC) and lifetime value (LTV) because they tie back to the diagram you just shared. How much effort and money do we need to spend to acquire a customer? And how well are we keeping them? What is the most significant trend affecting marketing? Jeanne: I think it’s the immediacy of things. I think we are all suffering; I mean, you’ve read the attention span of a goldfish and all that kind of stuff. We use Drift on our website because people want to get information right away. At my previous company Ipswitch, we implemented Drift. As a global company, we expanded the hours for the third party company that was monitoring all of our Drift interactions. They acted as kind of a tier zero to be able to funnel people to the community, be able to answer in Spanish, to do different things with our Drift implementation. Over this course of eight months, we generated $3.6 million worth of pipeline because people got answers right away. They will set up a demo and make sure you get to the right sales person. I think that there’s such a flood of information, people want answers right away. So, the great thing about Drift and this implementation that we leveraged is that it is a personal one. It’s not a robot if you want some help, let’s schedule this, let’s do this. Point them in the right direction to be able to get people the answers they want when they want it. I’m sure you’ve had these instances where you send a note, and this has been happening to me increasingly, you send a note to the contact desk email thing, you fill out the form and you never hear back. It’s just a black hole. You wonder as a marketer, have you ever filled out one of those forms on your company? Do you know if anybody’s ever going to get back to you? So what a wasted opportunity. Brian: It’s such a great tip. Be a secret shopper of your own web experience and your 800 experience, and your Drift experience. Ask yourself, how does it feel? Brian: And seeing things from the customer’s point of view, you spend time talking about connecting with salespeople. Jeanne: I think most marketing people would benefit from some sales experience. I’m lucky enough to have, in the course of my career, worked in sales. I carried a bag, carried a quota. I like marketing people to feel that they’re tied to sales and their ability to hit their numbers. It’s not just, “here, I generated a thousand leads and throw them over the fence; you deal with them.” But, have you ever called any of those leads? Have you ever touched any of those leads when people are saying, “I don’t know who you are? I never downloaded this. I never do that,” and that happens all the time. Jeanne: And if salespeople, out of every ten leads they get eight of those, “I don’t know who you are, I don’t know why you’re calling me. I don’t know this.” They’re going to start to avoid the leads that you’re sending them. Even though you tell salespeople you’re going to have a hundred “nos” before you get a yes. Selling is hard. It’s very, very difficult. So, it’s our job as marketers to scrub the leads, that’s what I’m trying to do here is before I throw them over the fence, I want to scrub them. We’ve taken out international, we’ve pushed to nurture anything that’s a public email address. They want company email addresses, and we’re trying to narrow this down as far as our service level agreement is with them. But my advice would be walking a mile in their (sales) shoes, and you’ll build some empathy for how hard it is. Jeanne: I think empathy’s a tough thing, Brian, right? You talk about the emotional quotient like such as intellectual quotient like, that your EQ. I’ve done it before. That sort of thing because most marketers with finance people are over budget and don’t understand how to talk to a finance person. So, finance people, let’s talk about them in travel. Finance people are the bad guys. They are always the bad guys. They’re the ones that kick back your expense reports. And they say “this isn’t going to get covered or they may say “you need to get your invoices in the next five days,” or your expense reports or whatever. It’s always the bad cop, bad cop, bad cop and you know, these people don’t travel so what do you think their viewpoint is of a salesperson that is travels or maybe overspending? How do you think they feel? Brian: Well, they feel they are probably irresponsible, or not looking out on the best interest of the company or, you know, feel like their entitled and want the white table cloth treatment. Jeanne: Yes. You know, they want to be business class. So, we’ve been doing this series of webinars on implementing a travel policy like, “how to sell your travel policy within an organization,” “How to take the pain out of creating a travel policy” because, in our consult, we can put parameters like nobody takes a first-class trip. They can bypass it, but if you have set up a travel policy and somebody books first-class to go to Austin or something, it gets triggered and then they know that when they were doing it like this, it’s out of policy and that’s very intentional. It’s like video cameras at Wal-Mart or something, you’re looking at it is going, “oh well, okay,” you’re being watched a little bit. So that provides a level of transparency and clarity to the employee where most employers have policies that are “use your best judgment” so what is your best judgment? So, what’s reasonable? Is La Quinta 20 miles away from your meeting and you must rent a car for $150.00 to go back? It’s trying to rationalize what works and what doesn’t work for an organization and also taking the emotion out of it. Brian: Well it’s interesting because you’re thinking of the experience of what it’s like to be in finance and you’re trying to help solve the problem they’re dealing with which is we’re human. We don’t want to feel like the bad guys all the time, even people in finance or HR or whomever it may be. They serve a considerable value to the organization in driving profitability and ensuring people have payroll met and all these essential things. Brian: So, it just sounds like you were trying to see from their experience how do you make it better, and then you focus on helping them solve it, is that what I’m hearing? Jeanne: Well, and another example is another persona that is a user is, say the office manager or whoever’s responsible in the office for booking. Jeanne: What we figured out from an ROI calculator that I worked on is that the average business trip takes 60 minutes to book. You go to four to five sites. You could go to Marriott; or JetBlue, or Delta. You’re trying to map out your itinerary. You’re trying to get it for a reasonable price, but also on your schedule because you want to be home on Friday night, you want to be home at Friday night no later than 5:00 so that you can have supper with your family and watch a movie, right? However, if you had a choice, this becomes problematic for people and then you, as an individual, are talking to Donna at the front desk. You’re going back and forth, back and forth, the flight is gone, this is that and if you could manage it all and you could save time, and you could save productivity, that’s good for the company. It’s good for you as the traveler and that poor office manager that’s like rock hard wall. Jeanne: That’s having the degree of empathy for the user, the customer and as a business traveler, too, that we want to help them be able to get home. The busiest travel times that we see, people start booking Sunday night, and they’re booking Monday’s and Tuesdays for travel and it might be traveling out two weeks or something, but they’re thinking about their schedule. Also, another thing that happens is people don’t think about the changes. Think about the business trips you’ve been on, and I’m pretty sure that one out three of your business trips changes. You book it out two weeks in advance and then suddenly, somebody wants to meet you here. They can’t meet you at this time; they’re gone. So, you end up trying to travel, change your travel and your flights are not refundable, and your hotel is a pre-paid. What do you do? Those are some costs because you can’t get your money back. Jeanne: So we’re trying to deal with refundable and trying to say don’t always go non-refundable because you got a one out of three chance that it’s going just to go away so you might as well spend the extra 50 bucks to make it refundable and not worry about it. Brian: You’re looking from the experience of the customer, seeing it, and you said earlier for the sales team, walking in their shoes. Going from frustration, annoyance, anger to feel calm. Jeanne: I would say the most important thing that they need to learn is how to speak. They need to know how to talk in front of a group without using all those crutch words. If we’re talking on this podcast and every other word I said was “um, you know, like,” those are all crutch words that we don’t feel comfortable hearing. Jeanne: And I would suggest that people that want to be able to move forward in their careers join a group like Toastmasters, Or Start a group like Toastmasters so you have the practice of being able to do this so you can have conversations on webinars, on podcasts, and be able to present in front of your company. I think, as you know, speaking in front of people is hugely intimidating. How do you get over that hump where the people in the audience are feeling just as scared, if you will, and you can be able to present your company, offer your point of view. If you get called into a board meeting (and every CMO is in the board meeting every single board meeting) you must be able to present your information in a way that makes sense to the board and build that level of internal confidence. So, that would be the advice that I would share. B2B Marketing: Do you know how much your CEO really invests in demand generation? Stuck on Words: How Can Marketing Connect with Customers Better? For all the latest news and updates, follow us on your favorite social network! 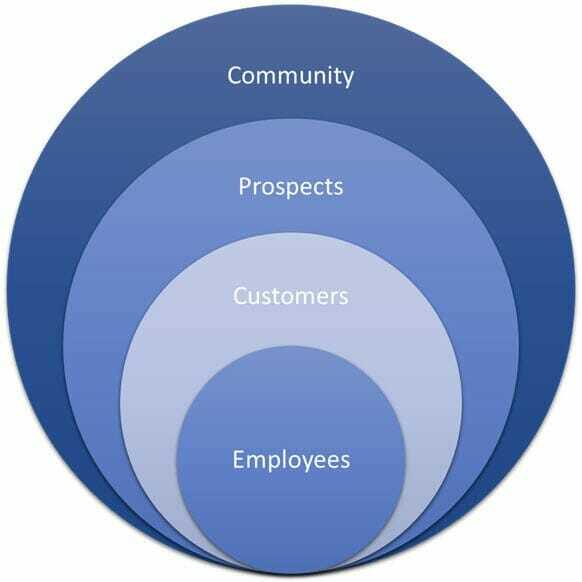 Lead generation is the initial step in the sales cycle. To generate sales leads successfully, you need to carefully analyze your target market and devise a strategy that will engage decision makers within that market. SalesPro Leads leverages more than a century of professional industry experience to deliver unparalleled qualified sales intelligence. All Contents © Copyright 2018, SalesPro Leads LLC. All Rights Reserved.